MG Motor India Pvt. Ltd., the local unit of the iconic British car maker that is now owned by China’s SAIC Motor Corp. Ltd., is all set to launch India’s first connected car christened ‘The Hector’. Available for sales by June, the Hector is expected to cost Rs17-20 lakh. With the launch of Hector, the 95-year-old British automaker is all set to disrupt the automotive industry in India, with its cutting edge car technology, developed in partnership with global technology players. It is powered by iSMART technology from MG (Morris Garages) Motor, which includes an embedded connectivity solution, maps and navigation services, voice assistant, pre-loaded infotainment content, emergency and information services, and built in apps. Since Hector also supports Over-The-Air (OTA) updates, it makes it one of the only cars in the world to come integrated with the OTA feature, according to Rajeev Chaba, President and Managing Director of MG Motor India. Industry sources say this technology was developed about 3 years ago between Chinese tech giant Alibaba and SAIC. Chaba shared several “industry-first” features of Internet-enabled cars that will be available in Hector. Similar to Tesla, Hector will have a 10.4″ Head Unit – a touch screen that is the biggest in the auto market in India. The screen is designed with a vertical interface that allows the driver to control the entire car system with just a touch or voice command. The unit will be pre-loaded with entertainment content–there will be10 pre-loaded videos downloaded, a pre-loaded Gaana app with a Premium Account and Accuweather which will help the customers to access music and weather forecasts. All apps have been specially customized for Hector’s large Head Unit. This unit has an embedded machine to machine (M2M) SIM which ensures that the car remains connected. The customized solution has been developed by Unlimit—an Anil Ambani-owned Reliance Group company–in partnership with Cisco and Airtel. The connected mobility solution on Hector is Internet Protocol Version 6 (IPV6), which is 5G-ready. This seamless connectivity enables the users to receive real-time software, entertainment content and application updates. Customers will be able to download the software updates immediately or schedule them for later, as in smart phones. This makes MG the first few among the global leaders and the first in India to bring the revolutionary OTA technology to cars. The OTA feature would be standard in all MG cars enabled with iSMART Next Gen for connected mobility, starting with MG Hector. 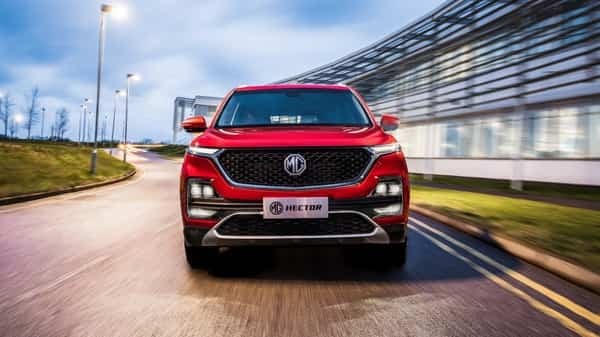 “With an embedded SIM card and OTA, the MG Hector promises to do a lot more over time with constantly-expanding capabilities, to create a seamless driving experience, throughout the life of the car,” said Chaba. “Furthermore, with the advent of 5G connectivity in India, MG cars will have the potential to add new, breakthrough features to further enrich the car driving experience,” Chaba added. Adding more power to the car will be an artificial intelligence (AI)-based voice assistant that works on the cloud. Developed by Nuance for MG India, it has been specifically designed for India for Indian accent learning. As a result of in-built AI and Machine Learning (ML) algorithms, the system will learn and get better every day with usage. Activated with ‘Hello MG’, the voice assist technology allows over 100 commands, including opening and closing of windows and sun roof, AC control and navigation and is built to work even under poor connectivity. Another feature is a pre-embedded navigation app from TomTom, the global leaders in automotive navigation. This navigation system would regularly update maps, routes and locations through their IQ Maps, a feature that would make locating and navigating a lot simpler.. “All the apps have been specially customized for MG Hector’s large Head Unit, “says Chaba. MG Motor has leveraged the local ecosystem of tech partners that includes Microsoft, Adobe, SAP and Cisco. MG Hector, on its part, also has a mobile app that can be used to check the vehicle’s status. Owners can use the remote app to directly lock or unlock doors, turn on ignition and switch on the air-conditioner (in automatic models) 2-3 minutes before entering the car. The ‘Find my car’ feature allows owners to locate their cars remotely and geo-fence (enables software to alert when a mobile device enters or leaves a particular area) it, so the car cannot be taken out of a predefined zone, thus enhancing the safety of the passengers.